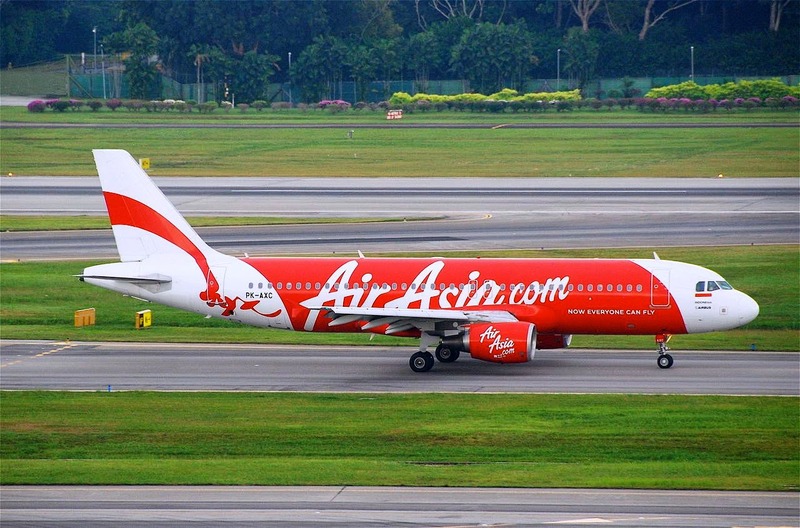 Aviation and safety expert David Soucie noted an interesting observation today on CNN in a discussion about missing AirAsia Flight 8501. In the overflow of media interest about the state of modern aircraft tracking, it's something that should not be easily passed over. 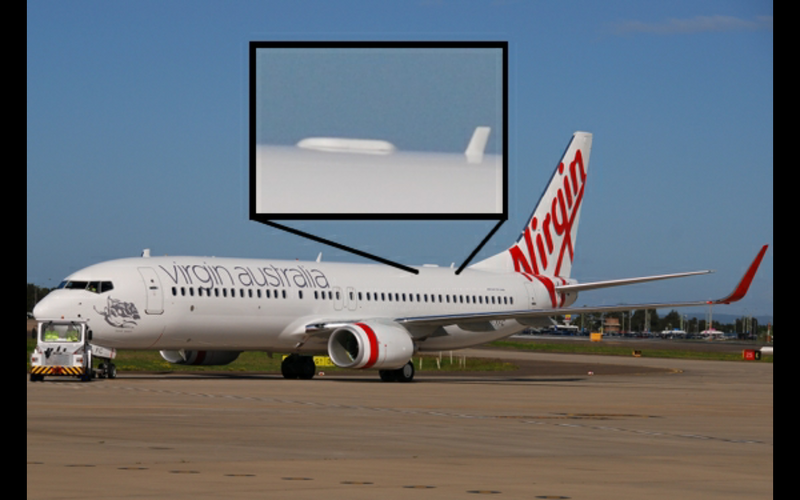 Take a look at the following images; one of AirAsia QZ8501, and two more images of a Virgin Australia and Airbus library photograph of an A320. Spot the difference? 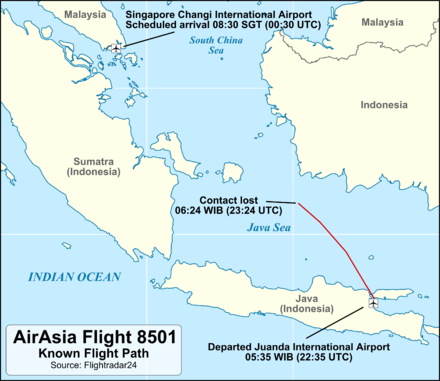 What Soucie noted was the absence of SATCOM on QZ8501. You will find a pretty good explanation at this link. The search for AirAsia Flight QZ8501 will resume in several hours at first light (05.30 WIT). While the search is technically still at the rescue stage, Indonesia and Singaporean search teams know that as each hour passes, the operation is increasingly likely to become a recovery mission. Searchers still have a great deal in their favour. The waters of the Java Sea are shallow (about 150ft) and the area is has a multitude of islands, including Belitung Island, the closest landmass to the aircraft when it disappeared from Indonesian ATC radar at 06.24 yesterday. 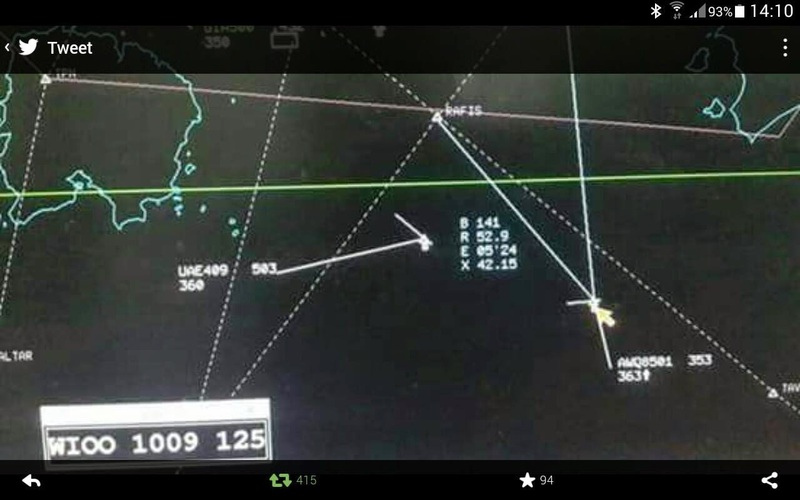 The Air Asia flight encountered heavy storm fronts and had requested to climb to 38,000 ft. It's believed that many of the 155 passengers were travelling for Christmas and New Year celebrations. Famalies of the missing passengers spent a difficult Sunday night in gathered together in Surabaya, Indonesia awaiting news. The first wreckage of MH17 arrived this afternoon in the Netherlands. Shortly after 2pm today two convoys of eight flatbed trucks reached Gilze-Rijen Airforce Base where the wreckage will be cataloged and examined before re-assembly next year. The first convoys left the Ukraine more than a week ago and have traveled the journey by road, mostly at night. The trucks crossed over the German/Dutch border around 3am this morning. The Dutch Safety Board facilitated 40 relatives of the passengers and crew at Gilze-Rijen when the convoy arrived today. 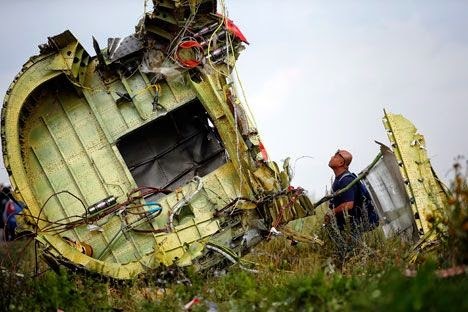 The DSB and the Dutch Department of Public Prosecutions will commence separate investigations into the cause and downing of Malaysia Airlines MH17 over Eastern Ukraine on July 17th. The DSB will begin its technical examination of the Boeing 777 to ascertain HOW and WHAT brought about the downing of MH17, leading to the loss of 298 crew and passengers. The DPP will focus on WHO is responsible with its own criminal investigation. The frontal area of the aircraft will be rebuilt on a specially designed rig in a hangar at Gilze-Rijen. This is believed to be the section of the aircraft which suffered a massive external blast. Investigators are working on two theories - 1. That the Boeing 777 was brought down by a BUK surface-to-air proximity missile, or 2. That the aircraft was brought down by air-to-air 30mm canon and/or missile fire from one or more fighter jets. Both investigations will utilize Dutch and foreign military experts to examine aircraft parts displaying inward and outward puncture holes in the cockpit and front cargo hold (walls, floor and roof). It remains unclear if this damage was caused by penetrating metal from a proximity warhead or the more uniformed damaged caused by a series of canon-fire bursts. The DSB will allow relatives to view the wreckage once the cataloging and re-assembly has begun in early 2015. On December 17th, it will be exactly six months since the downing of MH17. Anti-government rebels in Eastern Ukraine have denied that they were in possession of a BUK missile launcher, and the Russian Federation has also denied it supplied or aided rebels in the area to target the passenger jet, instead citing their own satellite data showing the presence of a Ukrainian fighter jet close to MH17. 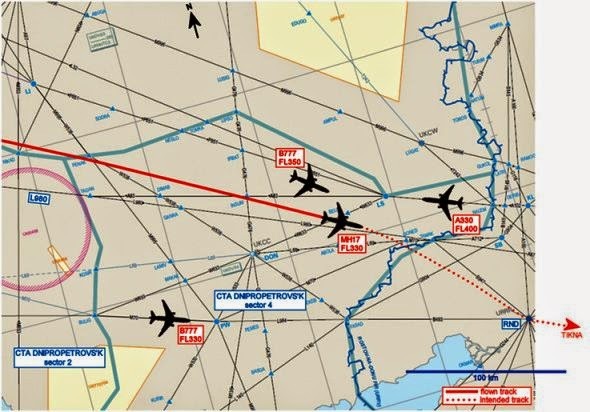 The United States administration has maintained that MH17 was downed by a BUK missile launcher, citing satellite intelligence data and social media activity on the day of the tragedy. As of now, no side has provided categorical evidence supporting its claims to the DSB or Dutch DPP. The wreckage from flight MH17 began its final journey to the Netherlands this morning (Dec 1st) according to the Dutch Safety Board. 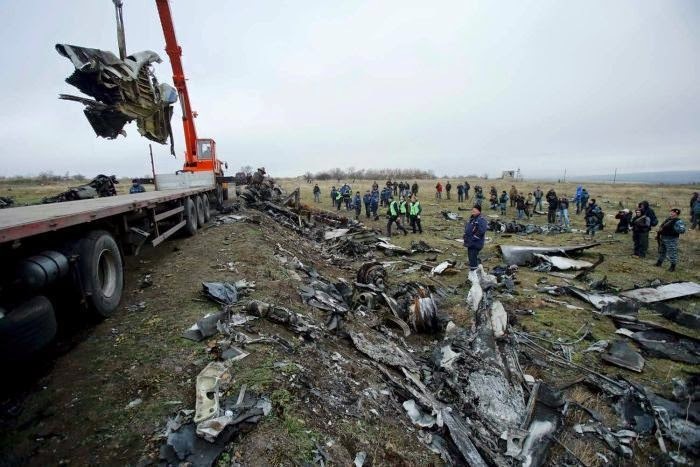 The first of several truck convoys will depart the Ukrainian city of Kharkiv where the wreckage has been stored since investigators recovered substantial parts of the aircraft nearly two weeks ago. 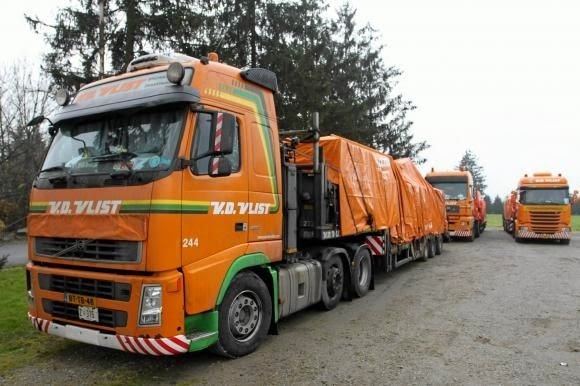 Throughout this week the Dutch Safety Board will oversee Ministry of Defence personnel load several truck convoys which will then make their way by road across Europe to Gilze Rijen Air Base in the Netherlands. It is there that investigators will finally begin their critical examination and reconstruction of part of the aircraft. The first of these convoys will arrive at the Gilze Rijen Air Base next week. The exact date will be announced prior to its arrival. Logistics specialists from the Ministry of Defence advised the Dutch Safety Board that the best option for transportation was by road due to the size of some aircraft parts. Much smaller parts remain at the several sites spread across three villages in Eastern Ukraine. It is thought unlikely investigators will recover any more wreckage and local contractors will remove what wreckage remains. The Dutch Safety Board delivered its preliminary report earlier this year, stating that the Malaysia Airlines Boeing 777 carrying 298 passengers and crew was brought down by an external force. It is due to deliver its final report in 2015. After 4 months since the downing of Malaysia Airlines Flight MH17 over the Donetsk People's Republic in Eastern Ukraine, officials from the Dutch Safety Board (DSB) investigating the events that led to the loss of the Boeing 777 with 298 passengers and crew on board began removing parts of the aircraft. 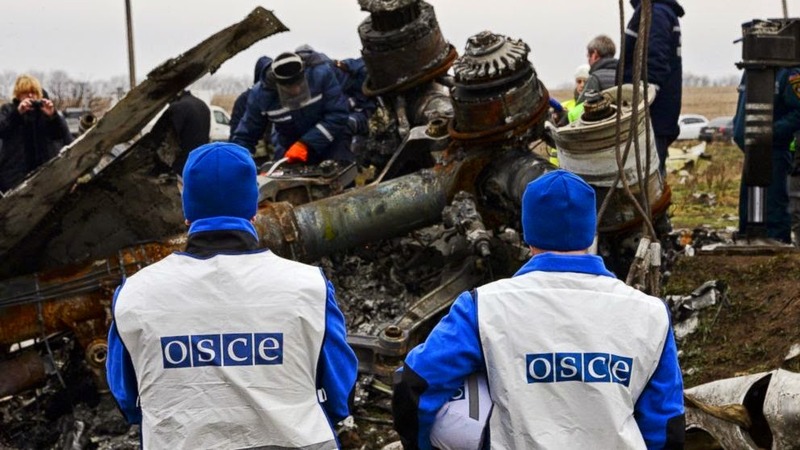 The removal of aircraft debris began early this morning, November 16th, and was overseen by the Organization for Security and Cooperation in Europe (OSCE). The actual work was carried out by local workers supervised by a dozen members of the DSB at the main burn crash site, which includes parts of the aircraft's main fuselage, wings, landing gear and engines. Workers today used heavy sawing equipment to separate larger parts before craning them onto several flatbed trucks. Large and small parts of the Boeing 777 are strewn across 20 kilometres of area, which include the villages of Hrabove (Grabovo), Rozsypne and Petropavlivka. The first of the debris was removed today, first to Torez, and by late this evening on to the second largest city in Ukraine, Kharkiv by train where many officials from the DSB and OSCE have based themselves in recent months. Since the downing of MH17 in July by a suspected surface to air missile, investigators have endured a frustrating on-off series of inspection visits to the crash site due to on-going hostilities between Ukrainian forces and rebels in the self-declared Donetsk People's Republic. The DSB has set a target of removing most of the crash debris over the next ten days. Although not yet confirmed, and due to the logistics and civil unrest, investigators hope to get as much of the wreckage back to the Netherlands as possible where they will reassemble parts of the Boeing 777. It is understood that the first parts removed today were parts which could best help investigators identify the bodies of passengers. The DSB investigators avoided attributing blame for the downing of MH17 in their preliminary report, only stating that the aircraft was brought down by a massive explosive decompression likely caused by 'high-energy objects from outside the aircraft.' The DSB will be keen to recover the front cockpit and cargo hold this week, the area where they believe the initial damage and breakup of the aircraft occurred. They will want to rule in or out whether holes below the cockpit windows and above the floor of the aircraft were caused by explosive shrapnel from a proximity missile or are more consistent with claims by some independent analysts (solely examining photographs taken by international media organisations) that the holes are evidence of 30mm canon fire from a fighter jet. The US administration and several countries in Western Europe have maintained that MH17 was brought down by a Buk SA-11, a medium-range surface-to-air missile developed by the Soviet Union, and that the missile launcher system was in the hands of Russian-backed rebels in the Donetsk region at the time MH17 crossed over Eastern Ukraine. The US administration stated days after the incident that it has 'a build up of extraordinary circumstantial evidence,' but has yet to produce any real evidence that the DSB could refer to the criminal part of their investigation. The Russian Federation has countered claims of their involvement by providing satellite footage and data that shows what they suggest to be a Ukrainian fighter jet (possibly an SU25) within 5 kilometres of MH17 at the time. It should also be noted that the DSB preliminary report makes no reference to evidence (circumstantial or otherwise), though it does state that Ukrainian and Russian Federation authorities have cooperated and shared data during their investigations (contrary to widespread media reports). I think it is important not to confuse political posturing in the mainstream media with the investigative work the DSB is currently carrying out, and the removal and examination of aircraft debris is only the real beginning of this investigation. While the DSB has been leading the investigation, authorities in Germany and Belgium have also been assisting with aspects of the criminal investigation. Recent news articles in the Germany press have also been less than helpful, and this is always the historical issue when multiple nations are involved in an aircraft investigation. The Associated Press has released an amateur video taken by a resident of Hrabove moments after parts of MH17 fell into the surrounding fields of the village and residents ran from their houses and farms frantically dousing burning debris which fell on their property and roadside. Perhaps the most sobering aspect today was when workers, lifting one large piece of MH17 onto a truck, soon discovered further bones and human remains at the crash site. With 289 bodies now accounted for, the bodies of nine people have yet to be located and identified. The real first phase of finding out what happened MH17 began in earnest today. 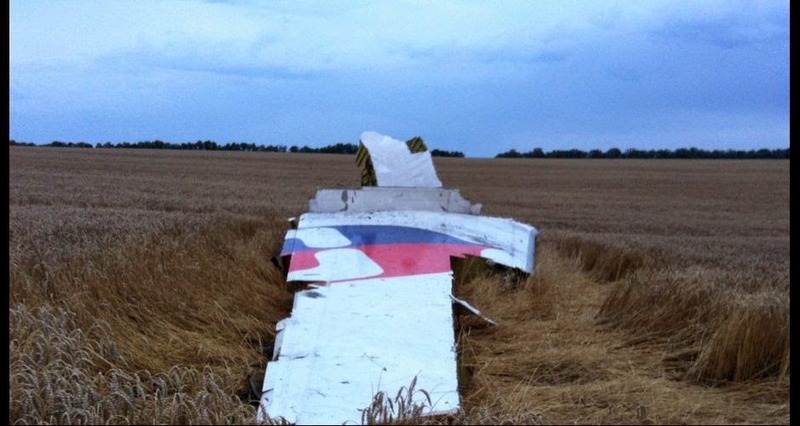 The final report into MH17 will not be completed and delivered until probably August, 2015. No doubt there will be much political pontificating and finger-pointing between now and then. 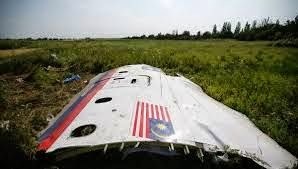 The role of the DSB and other participating nation members in the investigation into the downing of MH17 is to conclusively present the tested and quantifiable evidence that explains the how and why. Whoever brought down MH17 will only be known when we discover the how and why. Once presented with the final evidence and recommendations, let's see how vocal and proactive those who shout loudest and point accusing fingers are when the time comes to bring the responsible parties to justice. 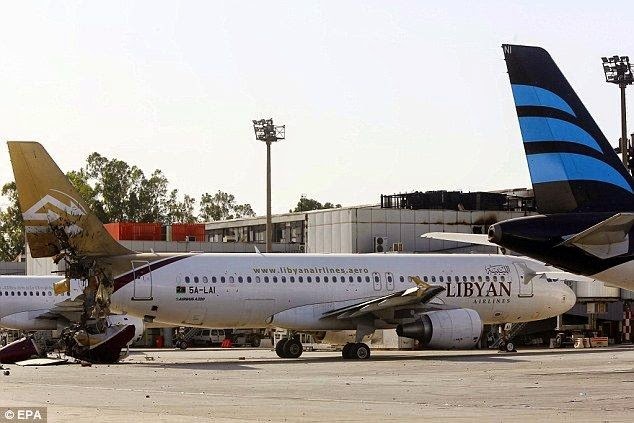 An Islamist extremist group is believed to be in possession of at least eleven commercial aircraft following a prolonged rocket and gun attack on Libya's Tripoli International Airport late last month. United States intelligence agencies have refused to confirm or deny that up to eleven aircraft were reported missing by two Libyan state-owned airline companies, amid growing military and political chaos in the country. Fierce battles have raged at the airport since July when it was shut down, and before it was finally taken over by militant group Libya Dawn. The airport had been under the control of two other militia groups, known as Al Qaqa and Al Sawa, including the control of all aircraft belonging to Libyan Airlines and Afriqiyah Airways. The stability of Libya has rapidly deteriorated due to intense fighting between Islamists and anti-Islamist militias. Recent news footage from Al Jazeera TV and international press photographs over the past two weeks have shown a number of damaged aircraft. The Libyan Airlines fleet includes fourteen passenger and cargo jets, including seven Airbus 320s, one Airbus 330, two French ATR-42 turboprop aircraft, and four Bombardier CJR-900s. Libyan state-owned Afriqiyah Airways fleet has thirteen aircraft, including three Airbus 319s, seven Airbus 320s, two Airbus 330s, and one Airbus 340. US Government officials have not publicly confirmed that eleven aircraft are missing following communications with Libyan Government officials and the Egyptian military, who are considering military intervention as the crisis in Libya threatens to bring about the complete collapse of the Libyan State.US intelligence agencies are believed to be working to track down the aircraft using radar recordings and satellite imagery. The real concern is that the aircraft could be used in attacks to mark the anniversary of 9/11 later this month. While another attack using aircraft on US homeland is considered unlikely, there is the threat that Islamists could use the aircraft to target US interests in neighbouring countries in North Africa or possibly as far away as Saudi Arabia. The Washington Free Beacon was the first news source to be leaked this information from inside US intelligence circles, though Al Jazeera TV has been reporting the possibility of missing aircraft for the past week. The Daily Mail was the first UK newspaper to pick up on the story this morning. Mekkaoui said the jets being held by the Libyan group called Masked Men Brigade that was designated as a foreign terrorist organization by the State Department in December. Russian Foreign Minister Sergei Lavrov has upped the media offensive in recent days on the Dutch-led MH17 investigation. While calling for an unconditional ceasefire in Eastern Ukraine to "end the suffering of civilians," Lavrov also demanded that data gathered from the two recovered black boxes (currently under forensic examination in the UK) and transcripts of exchanges between the pilots of MH17 and the Ukrainian air traffic control (ATC) must be made available to the international community. Since August 6th, when Dutch Prime Minister Mark Rutte consulted with the Organization for Security and Co-operation in Europe (OSCE) and suspended the search for body parts at the crash site, the rural towns of Rozsypne, Petropavlivka and Hrabove have borne the scars of recent rocket fire, underlining the dangers of conducting any kind of recovery and mapping investigation. 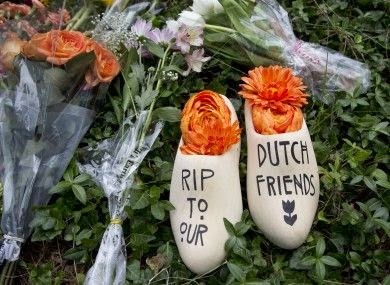 With the absence of many journalists from media outlets on the ground, MH17 has disappeared off the editorial agenda of most western media organisations—with the exception of networks in the Netherlands and Russia. In any normal aviation investigation, all human remains would have been recovered, the search area mapped out, and debris of the aircraft removed to a secure location. But MH17, like MH370, has been anything but an ordinary investigation. The initial investigators at the crash site of MH17, under the auspices of the OSCE, were simply tasked with recovering human remains and performing an observatory role. Ironically, it was the Wall Street Journal (WSJ), using photographs taken by numerous international agencies present in the area, who presented the first real anatomy and identification of the crash site across the three towns in Ukraine. Since this WSJ article, more wreckage has been located in forests in the region. As yet, we are still awaiting the preliminary report from the MH17 investigation team which was meant to be delivered at the end of August. This report will not attribute blame or attempt to resolve who or what brought down MH17, but merely present very basic information. Whatever initial information the investigation team have from the black boxes, ATC, and military intelligence, it must not be suppressed simply because it does not copper-fasten or support claims made by any government agencies who were quick to farm out blame in the hours following the downing of MH17. Investigators examining radar and satellite data in the search for Malaysia Airlines Flight MH370, which disappeared on March 8th this year on a flight from Kuala Lumpur to Beijing with 239 people on board, continue to refine their analysis in an effort to pinpoint the most likely area where the Boeing 777 came down in the South Indian Ocean. In June, the Australian Transport Safety Bureau (ATSB) awarded Fugro Survey in the Netherlands the contract to map and search an underwater area of 60,000 square miles using two specialist vessels. One vessel, Fugro Equator, is already in the area conducting a bathymetric survey, and will be joined by Fugro Discovery in late September to commence the deep-tow search. Today, Australia’s deputy prime minister, Warren Truss, said that further analysis of a failed satellite phone call made to the cabin of MH370 after radar contact was lost “suggests to us that the aircraft might have turned south a little earlier than we had previously expected”. Until now investigators worked on assumption that MH370 made a south turn over the sea between the north-western Peninsular Malaysia and the Indonesian island of Sumatra. 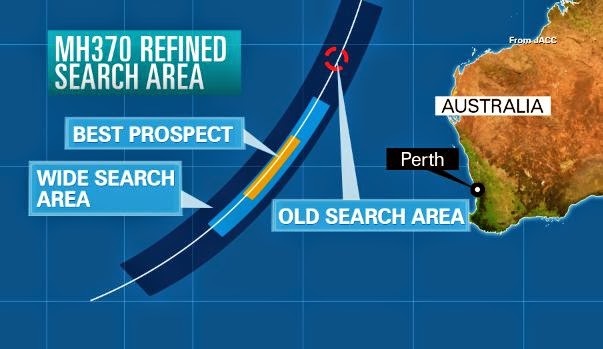 Truss revealed that there is a distinct possibility that the aircraft turned south earlier than what the initial data indicated. The implication of this is that MH370 could have travelled farther south into the South Indian Ocean. 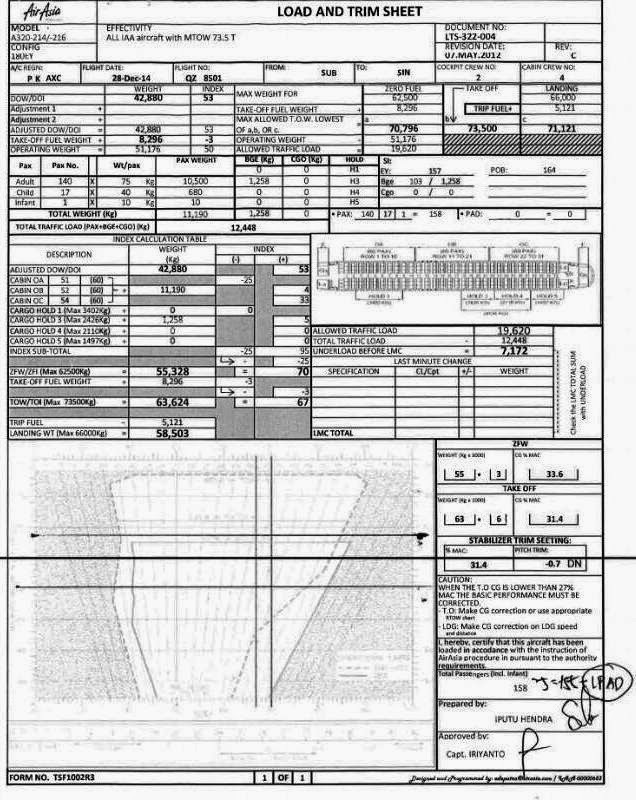 The preliminary report, released on May 1st into the disappearance of MH370, did indicate ground staff at Malaysia Airlines attempted to contact the crew by satellite phone at 02.39 MYT but the call failed. The unanswered call was placed 14 minutes after the last handshake at around the time of the suspected south turn. Today's news places greater significance on that failed call and may once again send investigators into revision mode as to the precise crash site, and with a 12 month search costing $48 million and about to begin, this really isn't the best time to be rushing back to the drawing board, particularly if that area stretches to or beyond the edges of the current search area. The Telegraph newspaper reported today that Malaysia Airlines has experience almost two hundred cabin crew resignations since the loss of MH370 and MH17. The airline is believed to planning a rescue restructuring plan due to be implemented soon. If staff have been leaving the airline then I'm not sure how delivering a talk to them titled Exclusive Discourse - MH370 and MH17 from the perspective of Islam really helps matters. Almost 200 cabin crew resigned from Malaysia Airlines in the year to July, many as a result of the MH17 and MH370 tragedies, Malaysia Airlines has confirmed, as rumours swirl about the airline's future. "Following the MH17 incident, there was a spike in crew resignations but the number has now decreased to acceptable and routinely expected levels,” Malaysia Airlines said in a statement to the Telegraph. "Many cited 'family pressure' as the reason for their resignation due to the MH17 and MH370 tragedies," the statement said. 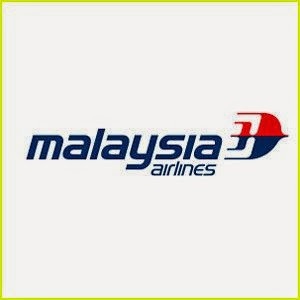 A spokesman for the airline would not comment on rumoured crew shortages, but said the organisation’s resignation rate was "way below the industry norm”, and pointed to the company’s support for staff through counselling and special prayer sessions, as well as a talk held last week titled 'Exclusive Discourse - MH370 and MH17 from the perspective of Islam’. 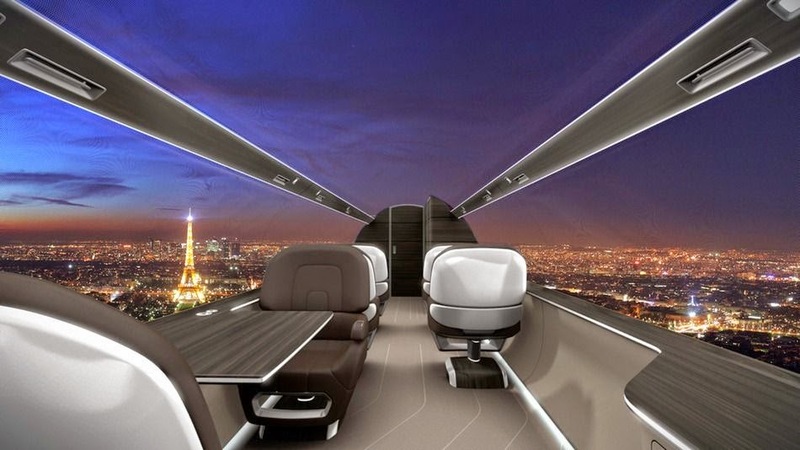 Are Windowless Jets The Shape of The Future? Are windowless planes the shape of future passenger flight? Passengers tend to be divided on window seats - some want one as a preference and others feel uncomfortable sitting in one. Paris-based design company Technicon Design has won an award for their IXION Windowless Jet Concept design. Removing windows from an aircraft reduces the cost and weight of an aircraft as well as providing more interior design flexibility. Technicon Design's concept allows for a 360-degree panoramic view projected onto screens mounted on the cabin walls and ceiling inside the plane via outside cameras. The company began the concept project as a way of challenging current design theory of modern aircraft thinking. Airbus and US firm Spike Aerospace have both been exploring future projects in this area. The future of passenger flight may be about to get a lot more panoramic, even without windows! This windowless jet project was created specifically for , and was shown at the 2013 NBAA business aviation show. It was also a winner in the 2014 International Yacht & Aviation Awards in the Exterior design category. In 1967, the Boeing Everett, Wash., facility opened for business to produce the historic 747 jumbo jet. Now, more than 40 years later, Everett employees are making history again as they design and manufacture the company/s newest twin-aisle airplane, the 787 Dreamliner. The Boeing partnership with the Everett community didn't begin with jetliners, though. During World War II, the company operated two facilities in Everett to provide subassembly support for the B-17. This included work on bulkheads and the radio operator's section. In October 1956, employees building jigs and shipment fixtures for the B-52 and KC-135 programs moved their operations to Everett. The move involved transferring 283 employees from the Seattle and Renton, Wash., plants and hiring 70 new employees from the Everett community. The employees occupied facilities at the Everett-Pacific Shipyard. In March 1957, the Everett community officially welcomed Boeing by celebrating "Boeing Week." Storefronts featured Boeing displays, and The Everett Herald ran a special "Welcome to Boeing" supplement. Boeing President William M. Allen attended a special Boeing Week banquet, which included speakers from the Air Force and the Everett community. A congratulatory message was read from U.S. Sen. Henry M. Jackson. In March 1966, the Boeing board of directors decided to proceed with an ambitious airplane program, the 747 jumbo jet. The program was launched officially the following month when Pan American World Airways announced a $525 million order for 25 747s. The huge jetliner would require special production facilities, so in June 1966 the company purchased 780 acres adjacent to Paine Field in Everett. In January 1967, the first production workers arrived at the Everett site. On May 1 of that year, the major assembly buildings opened. Boeing and its Everett employees made world headlines on Sept. 30, 1968, when the first 747 rolled out of the factory. The first flight of the 747 took place Feb. 9, 1969. 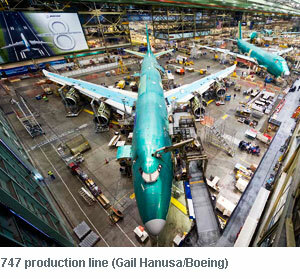 Since then, more than 1,400 747 airplanes have been built, all in Everett. 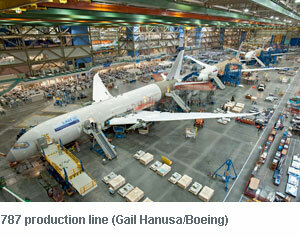 Now, employees are assembling the newest versions of the airplane, the 747-8 Freighter and 747-8 Intercontinental. The site's second jetliner program, the 767, got under way in July 1978 when United Airlines ordered 30 of the new twin-aisle airplanes. From 1979 to 1980, the Everett site expanded to accommodate the new program. The first 767 rolled out of the factory in August 1981, followed by first flight on September 26 of that year. The Boeing 777 program was launched in October 1990 when United Airlines ordered 34 of the new jetliners, with options for 34 more. 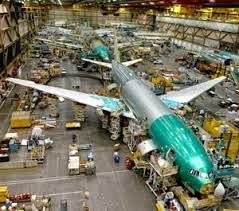 In July 1991, Boeing received the first construction permit to begin a major expansion of the Everett site, primarily to support the 777 program. This included a 50 percent increase in what was already the largest (by volume) building in the world. Construction was completed in October 1993. Ceremonial rollouts of the first 777 took place April 9, 1994. Approximately 100,000 employees, guests, customers and suppliers attended the events. The first flight of a 777 took place June 12, 1994, and lasted nearly four hours. In April 2004, the Boeing board of directors approved the formal launch of what was then called the 7E7. All Nippon Airways placed a firm order for 50 7E7s, the largest launch order ever for a new Boeing jetliner. In January 2005, the airplane received a new model designation to become the 787 Dreamliner. As the first airplane largely made with state-of-the-art composite materials, the 787 promises less waste, more durability and a better passenger experience (with lower cabin altitude and higher humidity). Using 20 percent less fuel on a per-passenger basis, the 787 is the most fuel-efficient twin-aisle airplane available. The first 787 made its inaugural flight in December 2009. From 2005 to 2009, the Everett site implemented the Future Factory project to create new, open and desirable work areas in the main factory building. The goal was to enhance collaboration, improve the employee experience and support overall production efficiencies. About 4,000 people moved into 600,000 square feet (55,741 sq. m.) of renovated space in five office towers. Renovations included Tully's Coffee cafes, new and upgraded cafeterias, employee service centers and 35 skylights. Separately, the Everett Delivery Center was remodeled with a new second-story observation deck overlooking the flight line; new customer offices, conference rooms and common areas; a Tully's Coffee café; and renovated crew shelters on the flight line. 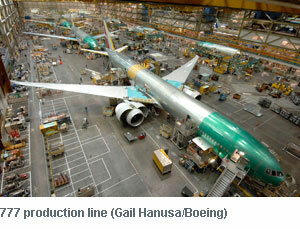 Because of its size and magnitude, the Everett plant represents Boeing to the world. Dignitaries to visit the site have included former U.S. President Bill Clinton; former U.S. Vice President Al Gore; former Texas Governor and U.S. President George W. Bush; former Russian President Boris Yeltsin; Chinese President Jiang Zemin; Prime Minister Paul Keating of Australia; Prime Minister Mahathir bin Mohamad of Malaysia; President Ion Iliescu of Romania; Prince Philippe of Spain; President Meri of Estonia; the late King Hussein of Jordan; His Royal Highness Prince Andrew, The Duke of York; President Megawati Sukarnoputri of Indonesia; former U.S. Speaker of the House of Representatives Dennis Hastert; former U.S. astronaut Neil Armstrong; and Crown Prince Shaikh Salman bin Hamad Al-Khalifa of Bahrain. 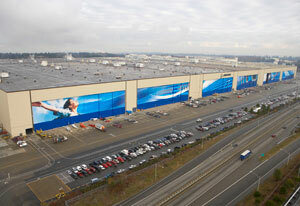 The Future of Flight Aviation Center & Boeing Tour debuted in December 2005. With developments in aviation technology coming at an ever-quickening pace, Boeing, Future of Flight Foundation, Snohomish County Public Facilities District and the Snohomish County Airport (Paine Field) joined forces to create an interpretive center so visitors could glimpse the future of commercial aviation. By incorporating and expanding the existing Boeing Tour, the Future of Flight offers an opportunity to see both commercial airplane production today and the direction aviation is headed in the future. When is my book completely written and edited and as good as it can be? When and how quickly should I publish it? Both questions are intrinsically linked and you can't answer the second question without knowing the answer to the first one. Far too many authors have an instant answer to the second question without ever having asked themselves the first question. The rush to publish is not just a symptom of the self-publishing community alone. While we may consider the turnaround time of a book from traditional publishers archaic—anything from nine months to eighteen months (typically twelve months)—some will make exceptions if the topic of a book is particularly popular; an anniversary of note coincides with the book's release, a marketing tie in with a TV programme or film, or a similar book is in the pipeline from another publisher. But in an effort to hit a publishing deadline and cash in on the latest trend, craze or celebrity popularity, even a big publisher can carelessly (or even deliberately) overlook the importance of the first question. I'm going to turn to a subject I have a great deal of interest in, and I would consider myself reasonably well-read and it's also an area I have researched and written on as a journalist and social media blogger, outside of my role as a publishing consultant. Yes, thankfully, on occasion, I get to take a break from all things publishing and indulge my writing and research in other areas. I've had a very long interest in the aviation industry and aeronautics. I sat the entrance exams to become a pilot twice with a national airliner when I was a teenager, reaching the final dozen candidates on both occasions until they discovered I'd bluffed on my application when I said I could swim. Damn it. Didn't think they were going to actually test me on that until I was already accepted and it was too late! In all the years since, I've yet to meet or speak to a pilot who needed to swim anytime he/she flew! On March 8th this year, Malaysia Flight MH370—departing Kuala Lumpur en route to Beijing—during a routine Air Traffic Control handover between Malaysia and Vietnam airspace over the South China Sea without any distress signal or communication from the crew that there was any problem. To date, almost six months later, no physical trace of the aircraft and its 239 passengers and crew have been found despite the largest and most expensive search in aviation history. Like all disasters and tragedies, whether natural or man made, be it air crash, tsunami or terrorist attack, it usually results in intensive—near 24 hour media coverage—for a period of time, and is usually followed by a slew of TV documentaries, films and books on the subject. The mystery of flight MH370 is no different. However, in most cases we quickly have the bones of the disaster or tragedy, and many of the answers to the why and how. 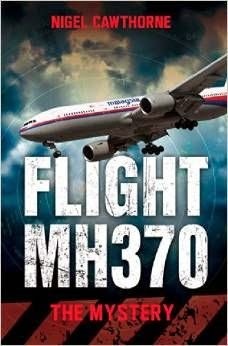 If the documented story of MH370 is to be a film or book, then it is truly an extraordinary mystery to recount in any medium. We have no plot, no central character, no bodies, no concrete motives or answers, and we are not even positively sure of the location of our mystery. But this has not stopped the announcement of a film based loosely on MH370, The Vanishing Act, which is currently in the process of seeking investment, though Indian director Rupesh Paul appears to consistently back-pedal during promotional interviews, stating now that the film will only have indirect links to the events of MH370. 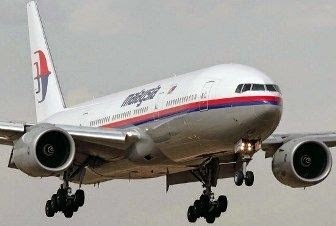 At the time the mainstream media were picking up on Rupesh Paul's film, John Blake Publishing in London was actually publishing Nigel Cawthorne's Flight MH370: The Mystery—its main conjectural claim is that the aircraft was shot down accidentally during joint United States-Thai military exercises. Now for an independent publishing house, that is some extraordinary submission to publication turnaround time—eight weeks!! The book has average reviews on Amazon and its reviewers seem to agree that while it is well written, full of detail, it does also fill pages with accounts of other air accidents and the author indulges in the exploration of theories like alien abduction and global espionage. I should add, Cawthorne is a thriller writer of over a hundred books but no aviation expert. John Blake Publishing wasn't the only publisher looking for its piece of MH370 literary history. In May, big five publisher Penguin Random House acquired the rights to Christine Negroni's Crashed: What the World’s Most Mysterious Airplane Disasters Teach Us About Design, Technology and Human Performance. Unlike Cawthorne, Negroni has worked as a private aviation investigator and journalist and was invited by the Federal Aviation Administration to sit as an independent voice on improved safety rules for ageing aircraft. She has also appeared as an aviation expert on CNN, ABC and is a familiar face on many aviation documentaries. She wrote the bestselling book, Deadly Departure: Why The Experts Failed To Prevent The TWA Flight 800 Disaster And How It Could Happen Again. 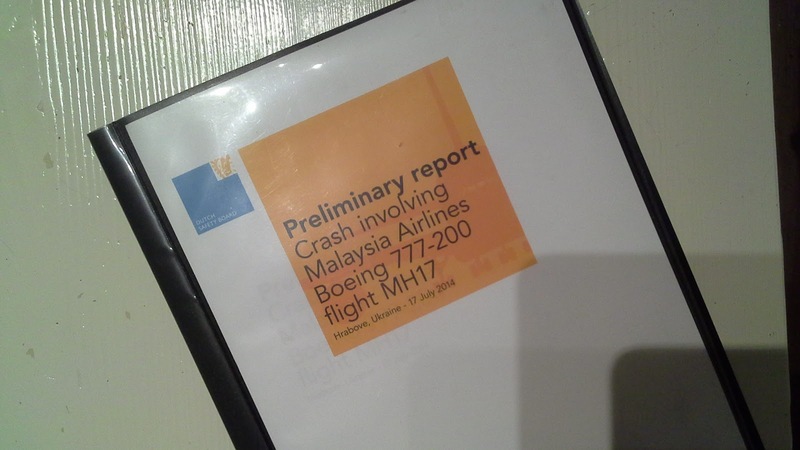 Negroni has mentioned her forthcoming book on MH370, remarking that it is coming soon, but wisely both author and publisher seem to have pushed the publication date back. Currently the book has yet to appear on Amazon for pre-order, and I would doubt we will see this book until much later this year or early next year. 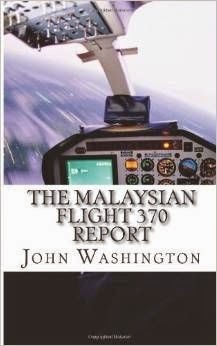 This month another book on MH370 was published, Goodnight Malaysian 370, and though it might first appear to be published by an established, specialist, traditional publisher (Wilson Aviation), this company is in fact not a publisher, but a specialist in representing overseas aircraft manufacturers wishing to sell their aircraft, products and/or services in the New Zealand, Australian and Pacific Islands market. The company is owned by one of the co-authors of the book, Ewan Wilson, who wrote the book with a provincial New Zealand newspaper editor, Geoff Taylor. Essentially, this is a self-published book. It has 7 reviews on Amazon as of now, five of which are five star reviews. Wilson has published two other books with small independent presses, and there is no question he is a man who knows the aviation business. Wilson founded budget airline Kiwi Air before it eventually collapsed a little over a year later with mounting debts. Wilson was later convicted of four counts of fraud and banned for five years from being a company director. It's little details like this that can damage an author's credibility when writing a book. A search on MH370 returned a total of 126 books published or shortly due for release. The overwhelming majority are self-published, both in print and e-book. Equally, the overwhelming majority, from examining descriptions, previews and reviews are utter dross—a combination of books based almost entirely on material cobbled together from the online news sources (paste and copy which clearly violates copyright), and some books simply using MH370 as a vehicle to disseminate political and conspiracy theory rants. To describe some of the publications as books would be seriously stretching the definition of a book. In a world of social media and blogs, I've no idea why an author would want to publish (again, clearly cut and paste) a lengthy, blog post and present it as a book and think they can charge between $3 and $15! And yet in those 126 books, I discovered several gems, written by aviation experts I recognised and would not have expected to be using Kindle or CreateSpace. In light of my original two questions after today's examination on books about MH370 (truthfully, I suspect this applies to much of what is self-published via Kindle and CreateSpace. If you self-published, only you as the author can answer that question. If you contract an editor, prepare to shift the point at which you 'thought' your book was ready for the world. If you don't contract an editor, you are doing nothing more than making available what you have written, and you are likely rejecting some of the basic fundamentals of a published product for sale—respecting and valuing your readers, producing a quality work for the medium it was intended, and above allowing you to move to your next work without regrets. Unless you are a journalist working to daily, weekly and monthly deadlines, writing is not a sprint race, nor is publishing that work. If the first line or paragraph of your work immediately leads to this question, then you are falling into a growing trap in self-publishing. This says the more books you publish, the more sales you will create. It's a literally fallacy, and one created from the top down in the self-publishing community by already successful authors with a large reader following imposing and suggesting a template of author-publishing based on quantity of books published equals exposure and more sales. That's not how it works, and believe me it's not how it worked for them in the beginning, no matter what they say or claim. 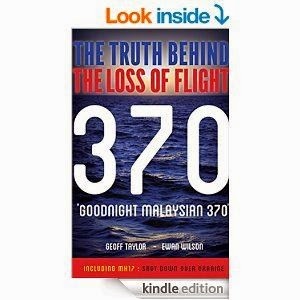 What I did notice from today's test of books on MH370 is that there is a minority of authors using both Kindle and CreateSpace to publish and then continue to refine and add to their book over a period of time—almost building their book in public and treating readers as subscribers. It's not a process I'm comfortable with, but it is clearly happening, as if some authors are treating Amazon KDP like Wattpad. The majority take the quick, publish-and-dump approach, and will probably move on to the next MH370 or whatever popular subject they think they can churn out a book of a few thousand words. 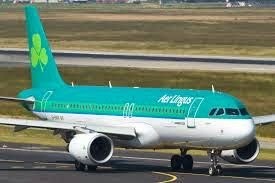 Thankfully Aer Lingus Flight EI627 has landed safely at Schiphol Airport at about 11.30pm Amsterdam time. The pilot of the Airbus A320 declared an emergency approximately 40 mins into the flight and requested an immediate alternative airport to land following its departure from Copenhagen to Dublin. The flight was diverted to Schiphol Airport and a medical emergency is currently being dealt with. The aircraft has been unloaded of passengers and baggage. 00.53 - Aircraft reloaded and back on its journey to Dublin. No word on medical emergency. What's been most disturbing about articles like this linked one from Global Research, is how all their "evidence" and journalistic delivery has been driven by their own bias. So much of the "fighter plane" evidence is all drawn back to GobalReasource.com, a completely unreliably source of evidence that pretends to be an academic institution, and is nothing more than a pro-Russian media company. Unlike the writer of this piece, I've resourced satellite images of the crash site, looked at countless images of debris taken in the opening hours of downed MH17, mapped the site with parts of aircraft, identified parts of the aircraft, and nothing supports his claims. Claims of fighter jets (SU25) that can fly at 33,000, taking down the jet are nonsense. SU25s use heat seeking missiles, that hit the hottest point of a target - the engines! Both engines fell in the same main burn field at the latter end of the crash site. No engines were hit or fell off the aircraft at the initial point the aircraft was disabled by a proximity missile at the forward point. The crash site confirms exactly as you would expect, that the first debre fall occured on the front part of the airplane, and the remaining part of the plane flew on for several kilometres before decending. Another nonsense story put out is that holes in the front part of the aircraft show 30mm canon file because of the evidence of blast bending holes inward and outward. Suggesting cannon fire from left and right, and even the suggestion that there were two fighter jets. Again, rubbish. 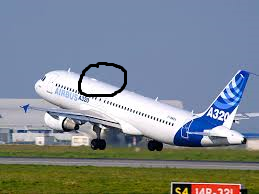 A massive decompression will cause forces in an aircraft like an inward "air" explosion, causing fragemented metal to sheer the cabin and burst outward. The crash site tells the real story. It does not need politically motivated and bias "experts" to create their own story of what they *think* happened. I’m always amazed when people listen/watch a delivered statement and then proceed to extract an entirely different version of what was said or meant. I’ve listened to what Dutch PM Mark Rutte said in both English and Dutch. Maybe something is being lost in the translation or people just want to read between the imaginary lines or believe what they think they hear. At no point did Rutte praise the separatist rebels, nor say they did a fantastic job of recovering human remains.... He also did not say the search for remains had ended indefinitely. The search has ended for now because the Ukrainian army continues to push east closer to the crash site and take back territory held by rebels. That push and increased firepower and conflict in the area has made the crash site ‘too dangerous’ for the investigators. The investigation has continually operated on a stop-go basis for days due to localised artillary and rocket fire. The rebels did not recover human remains from the site. They were too busy rifling through the personal belongings of passengers to see what they could get their hands on. The recovery of human remains was tasked to local villagers and authorities with the help of hundreds of local miners. Rutte has accepted on the advice of a doctor overseeing the initial recovery that the search for human remains was far more extensive than first thought. The investigators at the site in the past few days have said they found some human remains, but not many. There are 220+ coffins at the medical centre in Hilversum, Netherlands currently being exaimed and identified, but that does not mean there are 220 bodies. As no proper identification could be made at the crash site, some of those coffins may very well contain more than the remains of one person. Sadly, due to the fact that there was an intensive burn inferno (when it struck the ground) from the central part of the aircraft where the fuel tanks where, not all of the remains may be recovered.